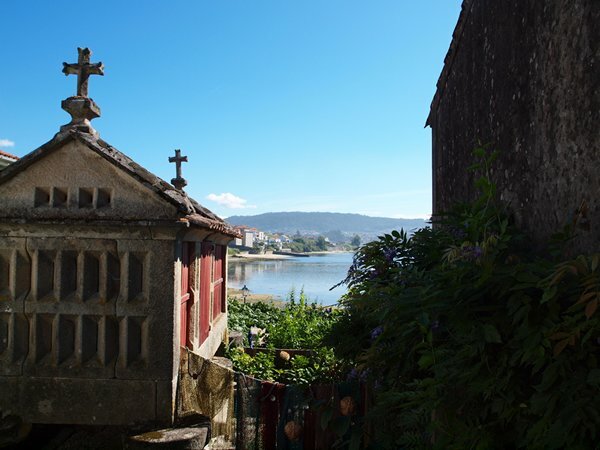 We left Sanxenxo/Porto Novo and headed for Combarro which is just at the end of this Ria – a whole 8 miles away. 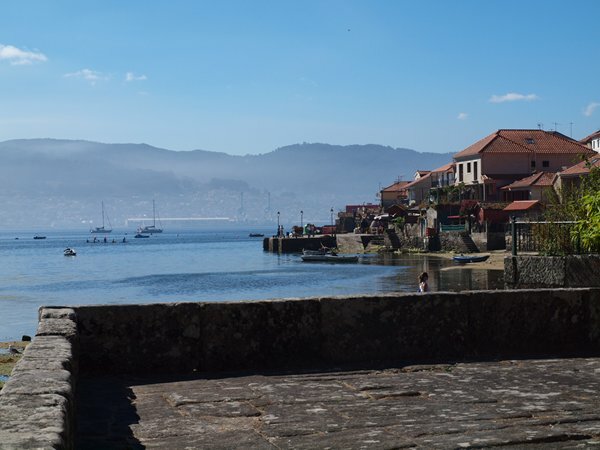 Combarro is very different to Sanxenxo – it is an old restored fishing village that is quite touristy but not in a ‘pedaloes’ way. There is a marina but we don’t need anything so we are anchored about 200 metres away from it in the bay. The part of the village is really pretty with very old granite houses set in tiny winding cobbled streets lining the shore side. Along the sea front many of these are now little restaurants and bodega’s with tables outside under canopy covers. Lots of them also have wood ovens like big chimnea’s for cooking on. If we ate fish then the food here would be excellent as it is famed for its sea food and the little restaurants that serve what the fishermen bring in, unfortunately for us Spanish omlette would be our only choice so we’ve been eating aboard! In the distance - the boat on the left is where we anchored. . . . .
Wandering around the town yesterday there is another festival here – so last night we went to find out what was happening. We still haven’t got used to how late everything happens in Spain – we went across to the town at about half past eight, the restaurants were all pretty empty and there were a couple of big marquees full of tables and food stalls and bars – all pretty empty, so we had an evening wander along the sea front. We then went for a couple of drinks at a bar and had some entertainment an hour later with a band that were on in the marquee – they were really good. . . . by now it was about half ten and the restaurants and marquee food halls were packed with people just starting their dinner. The next event was fireworks at midnight – which we decided to watch from the boat. Fireworks were brilliant – went on for ages and were set off from the end of the Marina breakwater about 300 yards from the boat so we had a good view, the only worrying bit was there were some fireworks that they seemed to fire across and into the water so they would explode about a foot above the water - we wondered if any of them would reach us!, but it looked pretty spectacular. After fireworks at about 0100 it was time for the band on the big stage – we will have to learn to get into the different times things happen as we were worn out then and had to listen from our bed – pretty pathetic really, there were small Spanish children out later than us. 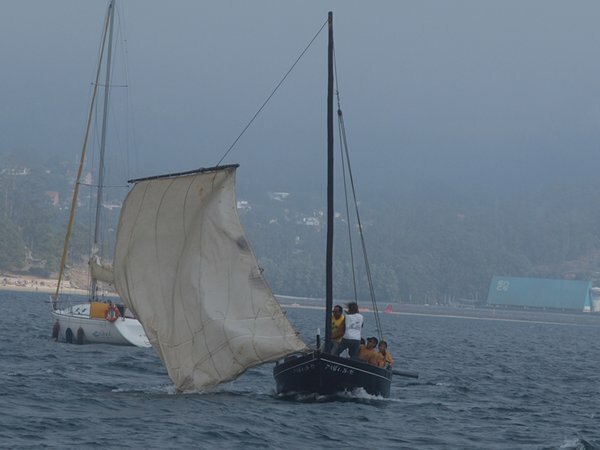 We have been thinking about our next couple weeks plan, we have to stay around this area for the next few days as we have some post to pick up from the Marina in Sanxenxo (our VHF radio has died so awaiting a new one – we were wondering why everything was so quiet on the radio the past couple of weeks) – however after that we are thinking of visiting Baiona, then on to Portugal. 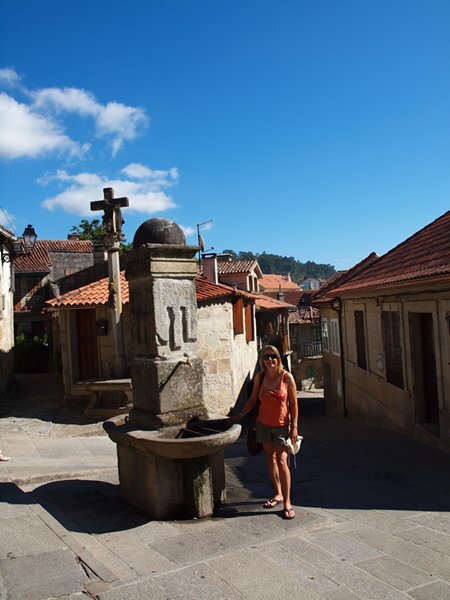 There are not so many places to stop on the west coast of Portugal and other than potentially a couple of stop offs in small towns to break the journey – the main places we will plan to go to are Porto and Lisbon (or Cascais which is nearby and less crowded for yachts). 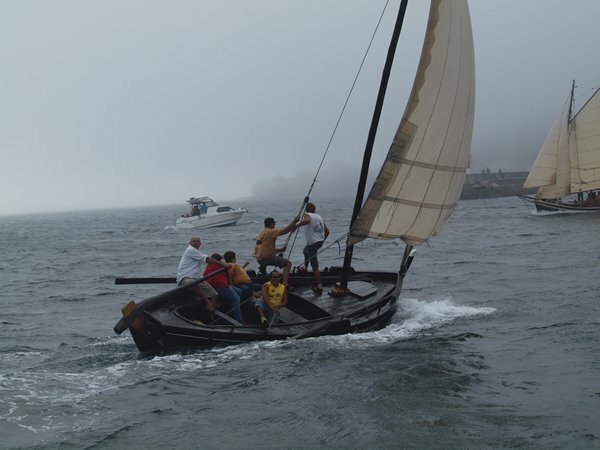 Looking forward to Porto as it will be the first big city we have been to and the biggest place we will have seen since leaving Portsmouth nearly a month ago – we will be like country yokels! 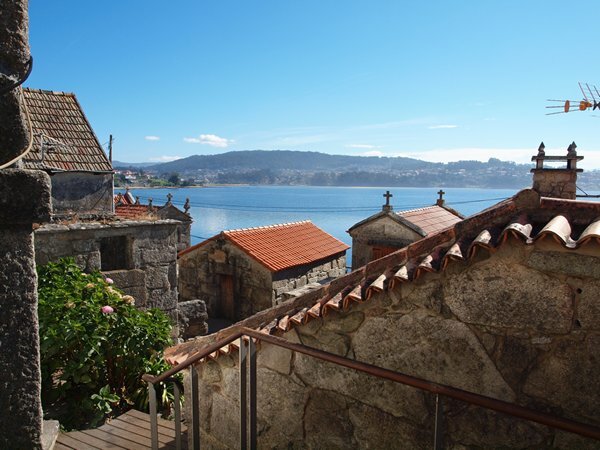 Apparently we need to visit the port warehouses in Porto for wine tasting! – so get your Christmas orders in ( although we cannot guarantee not to drink said xmas orders if space on the boat gets tight). Once in Lisbon we will need to decide whether we go to Gibraltar via the Algarve and Andalucia or instead head straight out to Madeira which is a about 100 miles longer than our Biscay crossing. However – expect it to take us into early September before we have seen Lisbon so we will have time to decide before then…. Two things I am missing from the UK (apart from family and friends of course! )– one is tea (I think we have an emergency tea package coming out to us though as we are having to ration) and the second is the lack of flies. Adam is now skilled at catching and removing house flies from the boat. It may be raining and cold in Britain - but at least there are not really any flies. We have given up on fly spray as it must be pretty nasty stuff. The supermarkets here have entire sections devoted to fly destruction.